Dean Zimmerli focuses his practice civil litigation related to agriculture, environmental regulation, banking and finance, commercial disputes and general litigation. In addition, Dean also regularly advises clients on issues related to business formation and contract drafting and negotiation. Dean acquired a valuable work ethic growing up on a family farm in southwest Minnesota, and this experience provides him with a full understanding of agribusiness issues. 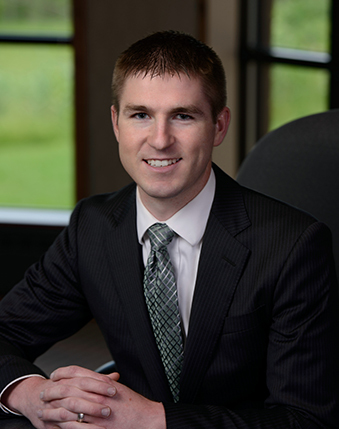 Dean provides service to his clients addressing their full range of legal needs through conducting research, drafting documents and collaborating with other Gislason & Hunter LLP attorneys. Outside of work, Dean enjoys spending time with his wife, Chelsey, as well as fishing, woodworking and helping with his family’s farm.